After two years of waiting and months of speculation, Flyers’ fans will finally see top prospect James van Riemsdyk in Philly colors. 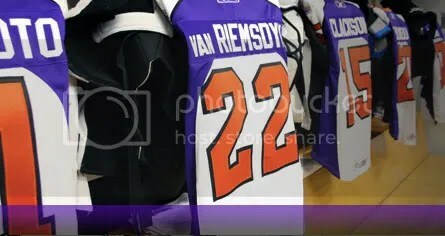 After signing a try out contract with the Philadelphia Phantoms earlier this morning, JVR will suit up to dress when the Phantoms take on the Albany River Rats tonight at the Wachovia Spectrum at 7 p.m. JVR has had experience playing with the majority of Phantoms in prospect camp, prior to Flyers’ training camp. He played specifically with center Jonathan Masumoto. The former second overall pick in the 2007 draft will give the Phantoms, who are four point behind the Binghamton Senators for a post season spot, a boost to the playoffs. The acquisition has riled up excitement for the game tonight, which is sure to spike in ticket sales due to fan interest in JVR’s game.